Saxlund International GmbH has received yet another large order from Babcock & Wilcox Vølund A/S, Denmark, for the delivery of a state-of-the-art biomass handling system to a green energy project in Teesside near Middlesborough, UK. This means that Saxlund in less than a year has won over 100 m SEK in new orders for Babcock & Wilcox Vølund’s different projects in the UK. The scope of Saxlund’s order encompass the design, manufacturing, delivery and commissioning of two fully automatic fuel handling systems, each with a capacity to allow for a 100% redundancy in feeding the boiler the equivalent of 125 MW of fuel input. Both systems shall be installed for fuel reception, fuel feeding and mixing of fuel in the fuel storage. 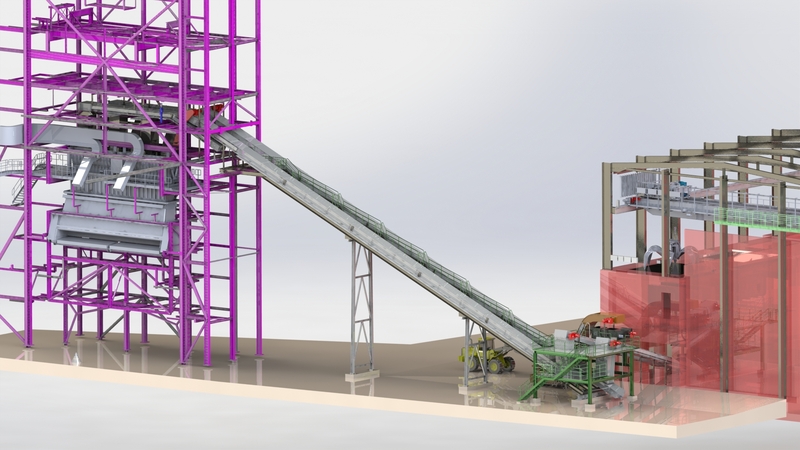 The entire fuel feeding system, including wood storage and conveyor systems will be designed for multifuel waste wood, designed for efficiency, minimum maintenance and high availability as well as low emission of dust and noise.